In the latter half of the previous century people of non-English descent became interested in their heritage and took pride in their recovered, “real” names. Where we once strove for a “melting-pot” society, in which everyone conformed to a bland Anglo-American sameness, we now celebrate a “tossed salad” of diverse ethnic, cultural, and religious backgrounds. Or at least we say we do in public. I used to work with a guy named Swanson who, upon visiting his ancestral homeland for the first time, had an epiphany and changed his last name to something very Swedish and (for an Anglo like me) almost unpronounceable. The real reasons why people changed their names upon entering the U.S. vary from family to family. Many times it was out of a sense of pride in the new country and a deliberate attempt to assimilate into American society. Other times people felt the need to avoid prejudice and racism. In American Passage: The History of Ellis Island, Vincent Cannato relates several accounts from tradition, family history, rumors, jokes, popular media, and so on. However, Cannato explains, these collective and family memories are fiction. So, if names were changed, how and where did it happen? This memory is not about the history of what really happened but instead about the correction in the present of an ancient injustice. It isn’t about finding facts about the past; it’s about reclaiming an identity that was once lost. In the previous post, we discussed some of Maurice Halbwachs’ basic concepts of social memory. As you will recall, he argued that things we remember collectively have to fit within present social frameworks. With that in mind, consider the immigrant who changed his name to assimilate into American society as compared to his great-grandson who resolutely reclaims his heritage, thumbing his nose at those idiots on Ellis Island who disrespected his ancestors. Time and distance cause people to evaluate and re-evaluate what really happened. But more than that, they invite people to reflect upon the significance of what occurred and ask themselves what the event means to the group now. And so you may ask, “Are they inventing the past?” In a sense, they are indeed creating a group history, but Halbwachs would say that’s what we always do. We don’t pull memories out of storage like old newspapers preserved on microfilm; rather, we reconstruct them using the social frameworks of the present. ♦ The corrective pressure of witnesses? Note that I’m not arguing that witnesses either cannot or will not provide the necessary controls for keeping traditions true or at least reasonably stable, merely that we know that sometimes they don’t. Common sense would tell us that eye-witnesses should want to preserve important events and be faithful to those memories. Yet in the case of the Ellis Island name-change myth we have literally millions of people who took part. They watched what happened to their fellow passengers, and witnessed the officials read names off the ships’ manifests. So when the stories circulated, why didn’t those witnesses come forward and say, “It didn’t happen that way”? Perhaps sometimes witnesses do make the tradition more stable and ensure its continuity. However, as we have seen from our Ellis Island example, we know that at least sometimes they have no apparent effect at all. If anything, witnesses remained complicit in the maintenance of the myth, if only by their deafening silence. Note that I’m not arguing that witnesses either cannot or will not provide the necessary controls for keeping traditions true or at least reasonably stable, merely that we know that sometimes they don’t. Collective memory theory may help explain why they do not provide stability, and it may indicate some possible reasons that myths intrude into a group’s self-narrative. People tend to have a short memory when it comes to history and they often end up paying a price for that forgetfulness. If our ancestors’ names were changed, that change in all likelihood came about as a result of the trials and tribulations they suffered as newcomers trying to navigate their way in a new world in a new language—a world where they were not always welcome. Many immigrants had to swallow their pride and change their names so they could put food on the table. They did it so we could have a chance at a better life. Oftentimes, the story of their struggles, the humiliation they endured, were not passed down to us. They didn’t want to burden us with those stories so they kept them to themselves. The Ellis Island myth thrived for so long, in large part, because we never knew the real story so we substituted the fairy tale for the missing facts. But we have the facts now. We can tell that story for them, and it’s high time we did. We owe them that. The best way to honor Gildo Fato, or “old faithful”, and all the others like him, is to tell their real stories. 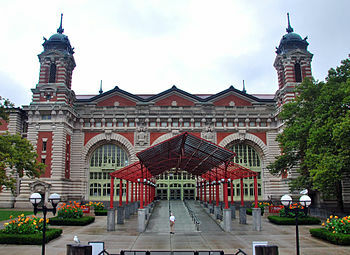 So for their sake and ours, the next time you hear someone’s name was changed at Ellis Island, set the record straight. We know for a fact that the Ellis Island stories are myths, because we have official records from the period that show conclusively that it didn’t happen. We also have contemporary documentation from the period (newspapers) that never mention name changes. For Le Donne’s theory to have any hope of working, we must assume that some kernel of the original remains within or just behind the different gospel traditions. Any variation among the accounts will occur, he argues, through a process of refraction. 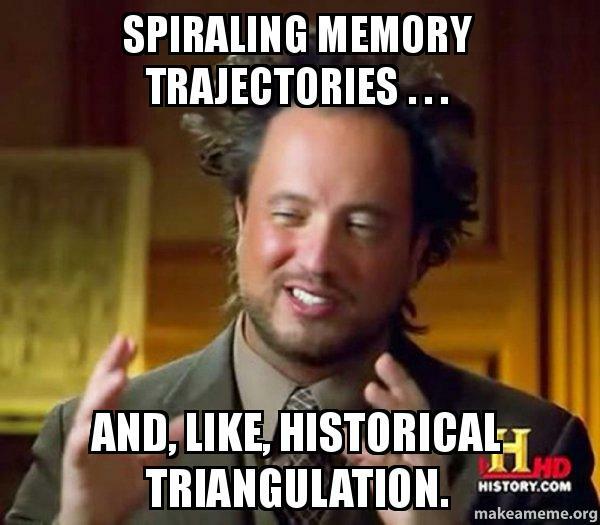 So even if some mythical aspects found their way into the text of the gospels, we can infer from their “spiraling memory trajectories” what they originally looked like. Similarly, Chris Keith in Jesus’ Literacy: Scribal Culture and the Teacher from Galilee maintains that the gospel stories describing the crowds as amazed by Jesus’ authority, knowledge, and wisdom help to explain two different sorts of “memories” — those that would indicate Jesus could read, understand, and interpret scripture, and those that imply that he could not. Memory Mavens seek to understand how traditions got the way they did by imagining what sort of social memory could have spawned them, but more than that, they try to imagine historical situations involving the historical Jesus in which real eye-witnesses observe and interpret what they saw. They process and recall those memories, and then preserve them in oral traditions. But there is a simpler explanation. Again, both Mark and Luke have narratized a theological belief. They’ve transformed a conception of Jesus into concrete events that demonstrate eternal truths. Consider, for example, the Gospel of Luke in which the boy Jesus astounds the scribes with his knowledge and wisdom (Luke 2:41-52). This story is pure fiction, but it arises from a theological belief: namely, that Jesus is the Son of God who, naturally, knew the scriptures better than anyone. And further, he did not receive that knowledge and wisdom at the knee of some acne-scarred scribbler from the tainted temple. His knowledge and abilities were nothing short of miraculous, and his deeds fulfilled prophecy. The legend of Jesus standing up in the synagogue, reading the Torah, and proclaiming “Today this scripture has been fulfilled in your hearing (Luke 4:21 RSV)” as well as the subsequent verses cribbed from Mark served the same purpose. In Mark, it’s an even stronger statement of astonishment, as his occupation is given. He’s a common craftsman, the people say, so how can he know the scriptures so well and speak with such authority? Again, both Mark and Luke have narratized a theological belief. They’ve transformed a conception of Jesus into concrete events that demonstrate eternal truths. Can a theological belief be a collective memory? Sure, why not? So, let’s state it that way: The early Christians created legends that historicized their theological collective memories. Unfortunately, even if we had access to every family memory — i.e., every version of the Ellis Island myth — we would almost certainly never have guessed the truth. Without corroborating primary evidence, we would have likely concluded, like Schwartz, “Where there’s smoke, there’s fire” (see Schwartz, 2014, p. 7ff.). Take for example, this children’s book from 1994 called If Your Name Was Changed at Ellis Island. I don’t own this book, but you can read large parts of it at Amazon. Here’s what children were taught. Did some immigrants change their names when they came to America? Many people changed their names or had them changed by an official, like a ship’s officer or an Ellis Island inspector. Some immigrants were afraid that they wouldn’t be allowed to enter if they had long or unpronounceable names. One young man who came from Russia in 1905 was concerned about his name. So he shortened it from Katznelson to Nelson. As far as the authors knew, the large number of family traditions tended to corroborate one another. Logically, some people probably voluntarily changed their names before leaving Europe, while others changed them upon settling in the new country. But all those stories about arrogant government officials must point to some basis in historical fact, right? Well, clearly not. The more optimistic Memory Mavens have faith that even without those obsolete, Formgeschichte-tainted, historical criteria, we can find original traditions in the gospels. We just have to imagine what sort of conditions would have produced the collective memories that they embody. Of course, this argument assumes that the gospels actually reflect oral tradition or actual memories of early Christian communities. However, even if we concede for the moment that the gospels really do represent collective memories, our Ellis Island case study must give us pause. Real historians use external, corroborated sources to determine what probably took place. They don’t use literary or sociological theories to uncover basic facts. Early Christian communities may have believed, for example, that Jesus had predicted the temple’s destruction. However, even if their belief was a collective memory, we don’t know whether it is as valid as our collective memory of men landing on the moon, or as invalid as our collective memory of immigration inspectors changing people’s names to Levine or Cohen. If you accept the fact that most people probably changed their own surnames for various personal reasons, you immediately begin to wonder why they didn’t want to tell their children or grandchildren the truth. Did they deliberately lie? Were their memories somehow distorted? Were they embarrassed? That’s actually not a bad explanation, and it fits with Halbwach’s idea of location as a rallying point for memory. We shouldn’t forget that if immigrants couldn’t make their way in the New World within three years, they could be returned to their points of origin. In the terminology of the day, if people were considered “likely to become public charges” (Cannato, 2009, p.2), the government could deport them. Not only, then, was Ellis Island the gate where they entered America, but it remained a sinister presence in their minds as the place through which they could be sent back. It was and perhaps still is nearly universal. The existence of millions of witnesses had no effect. The downtrodden, but resilient little guy who fights against all odds. The immigrants’ plucky progeny who struggle to remember the past and remain true to their roots. Now, what have learned here that could apply to the study of the New Testament? Posted on 2014-11-30 22:44:57 GMT+0000 by Tim Widowfield. This entry was posted in Biblical Studies and tagged Anthony Le Donne, Barry Schwartz, Memory Mavens, Oral Tradition, Social Memory. Bookmark the permalink. “Eyewitnesses” can be wrong, and their error can become accepted as fact if it fulfills certain collective subconscious impulses. Such impulses are themselves perfectly capable of creating imaginary eyewitnesses to imaginary events. Thank you for this series. I don’t have much to add, you’ve done a thorough job of demolishing the idea that living eyewitnesses would discredit a false idea, even one that was very important to their social standing within a group. The situation with regard to the historical Jesus though seems to me much worse. Imagine if in the 1980s and 1990s, someone started telling “true stories” about things that happened in the 1940s in Hiroshima and Nagasaki. This seems to me the most analogous situation, and it seems like it would be very hard to establish the truth or absence thereof of such stories. If we then add in the elements of the supernatural to those stories and eliminate any mundane content, the balance of investigation would have to favor fiction, even if verifiable historical persons or locations were mentioned in the stories. This is an excellent example of how memories are reconstructed as much from the present as the past. 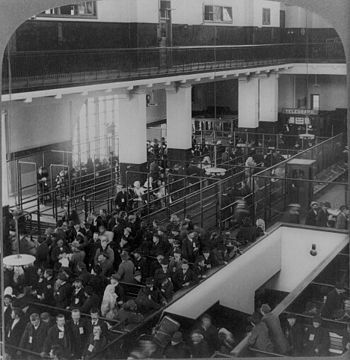 People simply accepted the Ellis Island Myth and used it to explain their own situation. One can find the same thing with the present day torture myth in the United States. It was never the policy of the United States government to use torture on prisoners before the Bush-Cheney administration introduced it in 2002 under the euphemism “Enhanced interrogation Techniques.” Yet, people are claiming that this was nothing new. This has a partial tiny bit of truth to it in that the C.I.A. as part of the Cold War against Communism, did covertly train foreign military and intelligence agencies to use torture in the 1950’s through the 1990’s. However torture of prisoners, as official government policy and practice did not start until 2002.